Recorded on vintage equipment in single takes, Nick Curran keeps things simple and swinging on his solo debut. 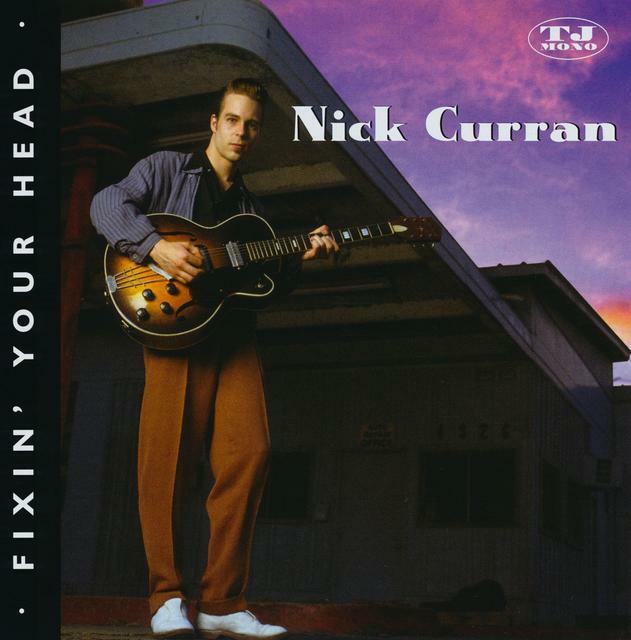 Having played rockabilly with Kim Lenz set Curran's retro-twang cred in stone and the long-time blues aficionado strikes out on his own with the revelatory Fixin' Your Head. With a deep, ringing voice not unlike Amos Milburn or Lloyd Price, and a wide-open T-Bone Walker guitar style, Curran utterly embodies that period of time during the late '40s and early '50s just before the blues became rock & roll. Curran's impressive mix of lesser known cover tunes and originals -- the up-tempo "She's Mine" especially -- oozes with a genuine pomade and chicken wings mentality. More studied than punk, yet grittier than most contemporary blues releases, Curran has achieved an almost unimaginable "take no prisoners" aesthetic of retro-style absoluteness and modern blues urgency.